2017 saw a healthy crop of Gewürztraminer on the Melrose vineyard, with good bunch and berry size. The fruit for “Louisa” hung on the vines two months after the harvest for the dry style, so flavour and sweetness in the fruit underwent a fair degree of concentration! After harvesting, the destemmed fruit was left to soak on skins for 5 days then pressed, clarified and inoculated. When the balance of residual sugar, flavour and alcohol looks right, (i.e. intense fruit with sweetness, but not too cloying, balanced with a lingering finish), the ferment is rapidly chilled to stop the yeast in their tracks and the wine is then stabilised and sterile filtered for bottling. 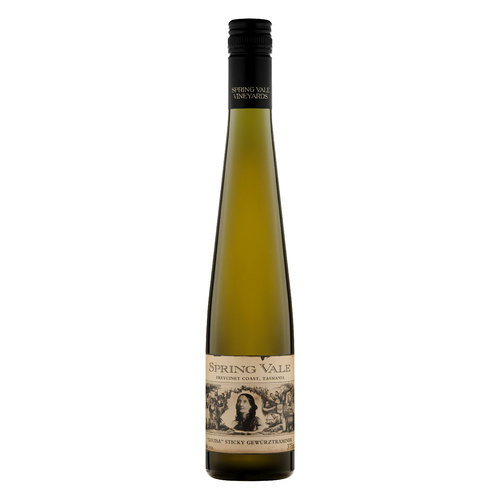 Total production in this vintage of the Spring Vale “Louisa” Gewürztraminer was 550 dozen.